Now a major motion picture! TIME Magazine’s #1 Fiction Book of the Year! -Millions of copies sold- #1 New York Times Bestseller #1 Wall Street Journal Bestseller #1 USA Today Bestseller #1 International Bestseller #1 Indie Bestseller Despite the tumor-shrinking medical miracle that has bought her a few years, Hazel has never been anything but terminal, her final chapter inscribed upon diagnosis. But when a gorgeous plot twist named Augustus Waters suddenly appears at Cancer Kid Support Group, Hazel’s story is about to be completely rewritten. 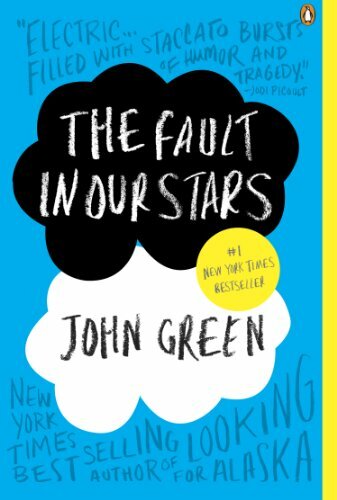 Insightful, bold, irreverent, and raw, The Fault in Our Stars brilliantly explores the funny, thrilling, and tragic business of being alive and in love.